Perfect for a 13 year old!!! That little reindeer is so cute he could go on a card for any age!!! Hope you are having a good week and are managing to get all those last minute Christmas things sorted. This is too cute and the card in the previous post is gorgeous! 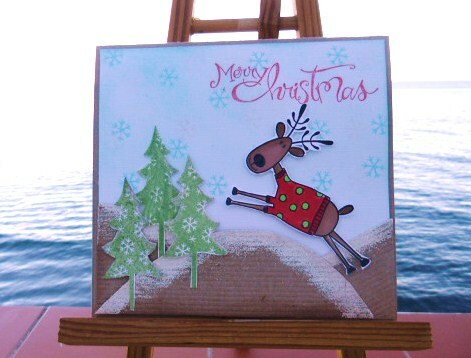 What a nice card with your new stamps! Im 1 of your new FFcollegues stoping by!